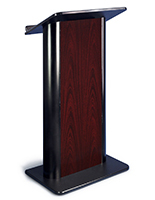 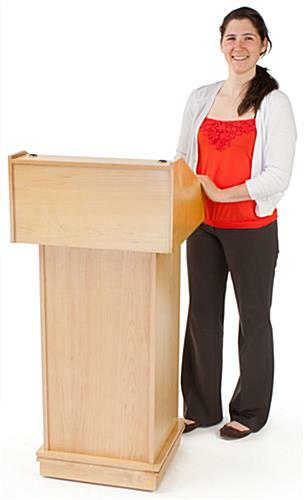 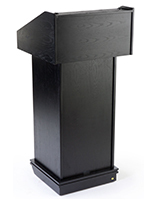 This veneer lectern easily converts from a floor standing podium to a table top pulpit. 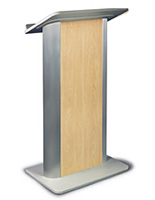 The podium has smooth and beautiful edges that do not detract from the pulpit itself. 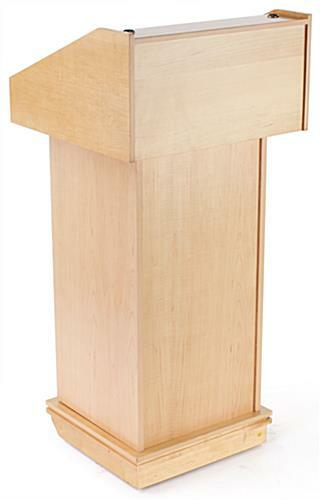 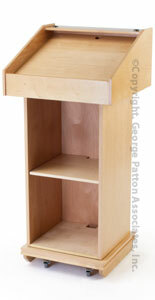 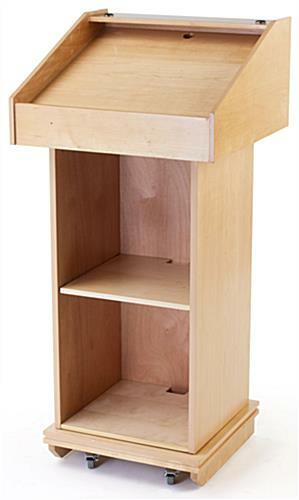 This maple podium, also known as a veneer lecterns system, features a raised paneling a design. 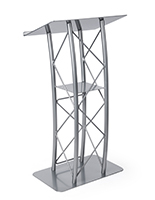 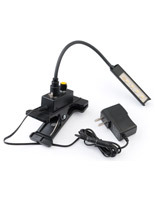 This presentation fixture that is a speaker stand is easy to move, just tilt back and wheel forward. 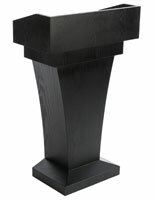 The podium, like wood church furniture, features a slanted surface and lip at the bottom to keep notes from sliding off during a lecture. 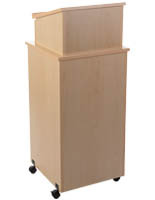 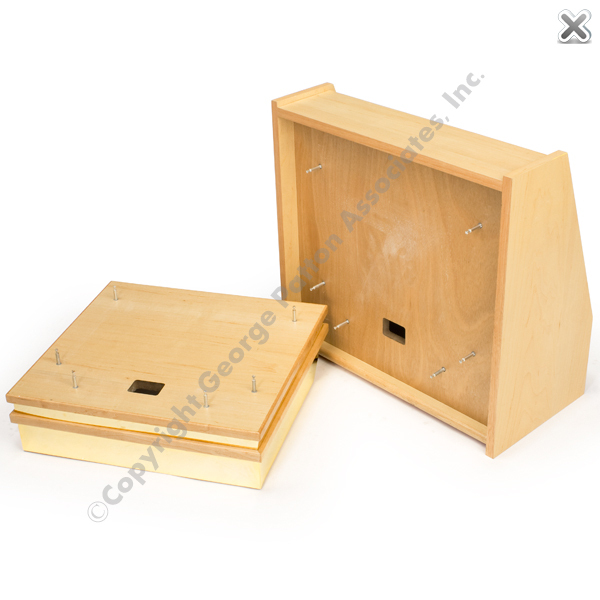 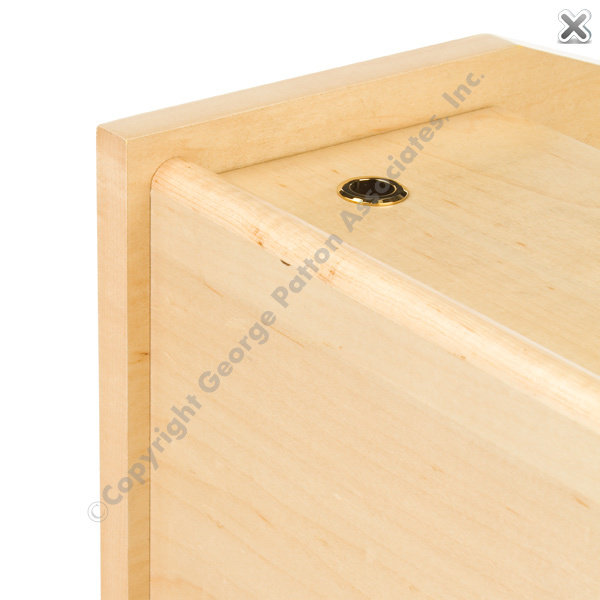 Hidden casters allow the speaker stand to be moved quite easily.The maple podium, veneer lecterns system, is finished in wood wax and includes a shelf for storing equipment or belongings. 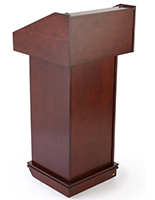 Hardware is included. 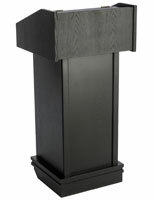 22.4" x 48.0" x 21.6"